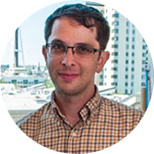 Abraham Flaxman, PhD, is an Associate Professor of Health Metrics Sciences at the Institute for Health Metrics and Evaluation (IHME) at the University of Washington. He is currently leading the development of a simulation platform to derive “what-if” results from Global Burden of Disease estimates and is engaged in methodological and operational research on verbal autopsy. Dr. Flaxman has previously designed software tools such as DisMod-MR that IHME uses to estimate the Global Burden of Disease, and the Bednet Stock-and-Flow Model, which has produced estimates of insecticide-treated net coverage in sub-Saharan Africa. This work uses Integrative Systems Modeling to combine a system dynamics model of process with a statistical model of data to bring together all available sources of information. Prior to being named associate professor, Dr. Flaxman was an assistant professor at IHME, a Post-Graduate Fellow at IHME, and before that he was a post-doctoral fellow at Microsoft Research. Originally from Evanston, IL, Dr. Flaxman earned his BS in Mathematics from the Massachusetts Institute of Technology. He earned his PhD in Algorithms, Combinatorics, and Optimization from Carnegie Mellon University in 2006. Dr. Flaxman has written his popular blog, http://healthyalgorithms.com, since 2008. His posts cover mathematics, computer science, and his research at IHME. Benziger CP, Stout K, Zaragoza-Macias E, Bertozzi-Villa A, Flaxman AD. Projected growth of the adult congenital heart disease population in the United States to 2050: an integrative systems modeling approach. Population Health Metrics. 2015 Oct 15; 13:29. doi: 10.1186/s12963-015-0063-z. Charlson FJ, Ferrari AJ, Flaxman AD, Whiteford HA. The epidemiological modelling of dysthymia: application for the Global Burden of Disease Study 2010. Journal of Affective Disorders. 2013 Oct; 151(1). James SL, Flaxman AD, Murray CJL, the Population Health Metrics Research Consortium (PHMRC). Performance of the Tariff Method: validation of a simple additive algorithm for analysis of verbal autopsies. Population Health Metrics. 2011; 9:31. Flaxman AD, Vahdatpour A, James SL, Birnbaum JK, Murray CJL, and the Population Health Metrics Research Consortium (PHMRC). Direct estimation of cause-specific mortality fractions from verbal autopsies: multisite validation study using clinical diagnostic gold standards. Population Health Metrics. 2011; 9:35. Andersen R, Borgs C, Chayes J, Feige U, Flaxman AD, Kalai A, Mirrokni V, Tennenholtz M. Trust-based recommendation systems: an axiomatic approach. Proceedings of the 17th International Conference on World Wide Web. 2008;199-208. Flaxman AD. A spectral technique for random satisfiable 3CNF formulas. Random Structures and Algorithms. 2008; 32(4):519-534. Flaxman AD, Frieze AM, Vera J. A geometric preferential attachment model of networks II. Internet Mathematics. 2007; 4(1):87-111. Yu H, Kaminsky M, Gibbons PB, Flaxman AD. Defending against Sybil attacks via social networks. IEEE/ACM Transactions on Networking. 2008; 16(3):576-589.